Starbucks is smart to capitalize on this love, and has done a bang up job of it. 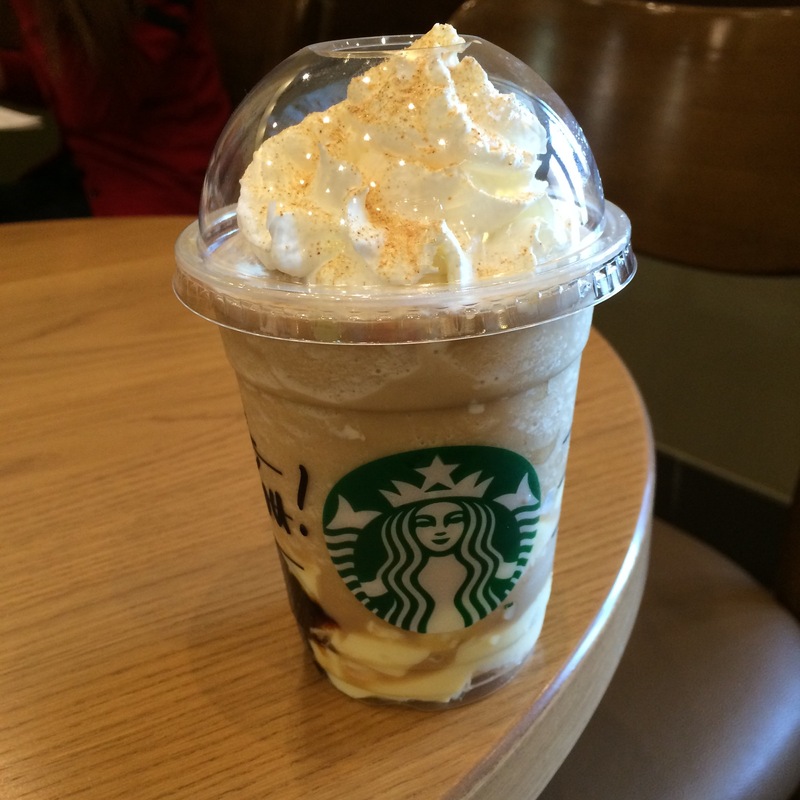 The caramel pudding frap feels fresh, but also hits the nostalgia button. 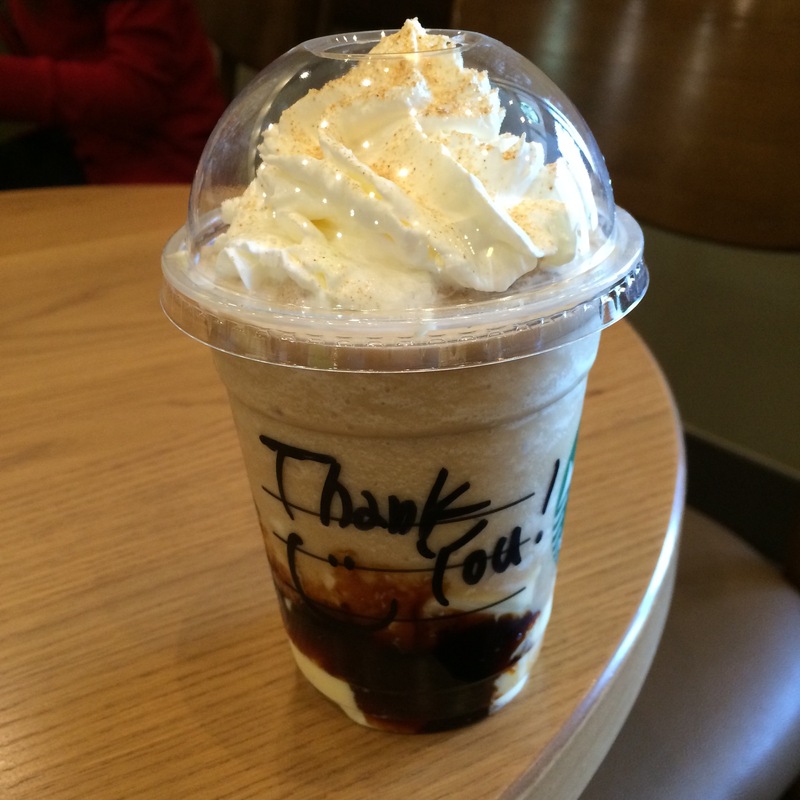 It’s quite a flavor of childhood for many here in a way similar to the Coffee Jelly Frappuccino. 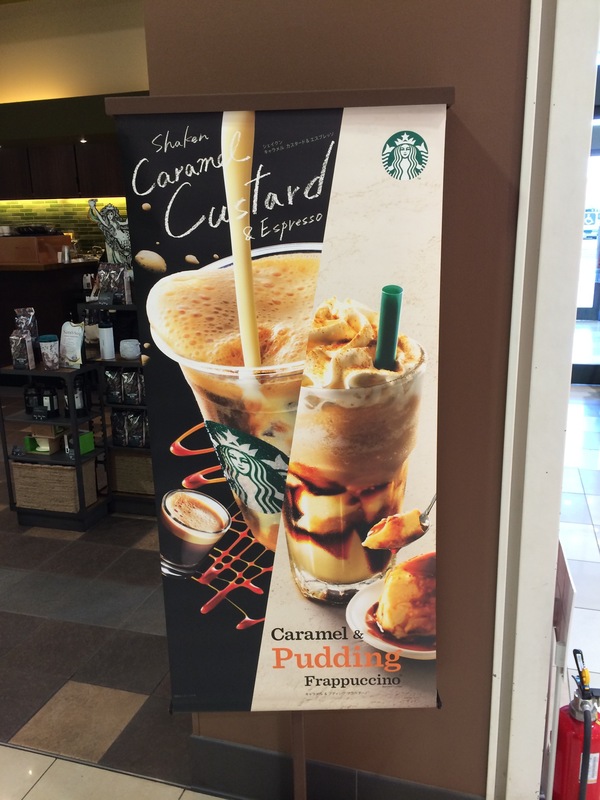 The cup has a hefty scoop of pudding on the bottom, followed by a generous layer of bitter caramel, followed by standard frappuccino and crunchies on top of the whip. It’s even heavier than the usual frappuccino, but you know that you’re ordering dessert in a cup with this one. Next up is the Shaken Caramel Custard and Espresso, which is particularly interesting to me. I remember finding Drinking Custard on the grocery store shelf next to the Eggnog around Christmastime in North Carolina. Is this a thing in other parts of the country as well? It’s really interesting to have this an an element in an iced coffee drink along with caramel and espresso. The drink is only very lightly shaken, and the textures remain delightfully distinct. At one moment you’re drinking an icey, milky espresso, and then BAM, a mouthful of thick, rich custard. The different textures in the same drink make for a really unusual experience, much like the pudding frappuccino but lighter and more delicate. About halfway through I added some cinnamon, at which point it really started to taste like Eggnog. I wonder if we’ll see the Eggnog Latte join the Gingerbread Latte at Christmas this year? Also interesting is that this drink appears to only come in one size, with no whip. It’s delicious just the way it is, though. Happy Day indeed! 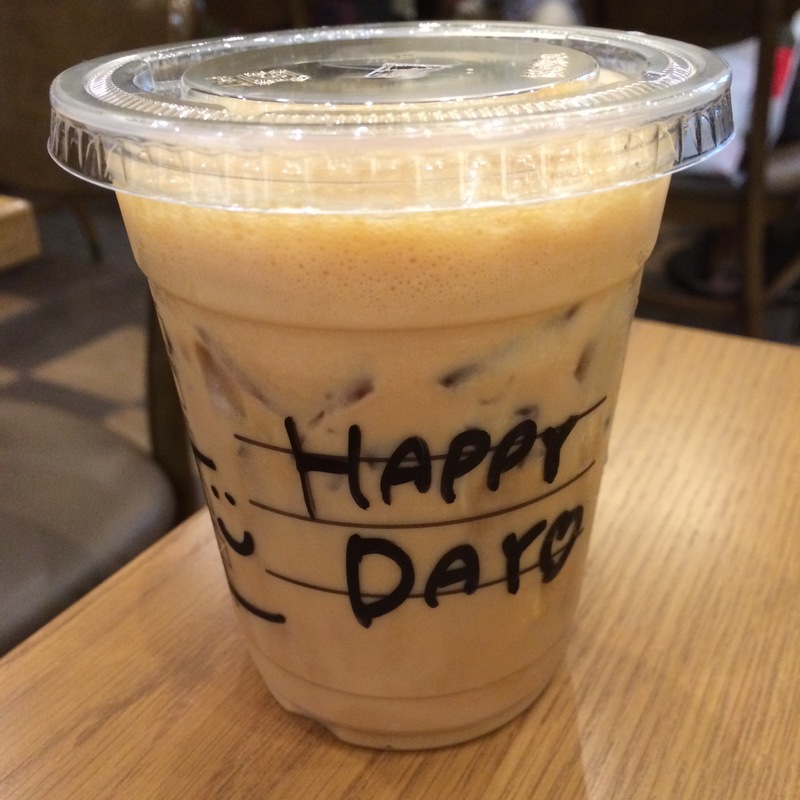 This entry was posted in Starbucks and tagged caramel, coffee, custard, eggnog, espresso, frap, frappachino, frappuccino, frapuccino, frapucino, Japan, Japanese, latte, life in Japan, pudding, Starbucks, Tokyo. Bookmark the permalink. Wow these both look so tasty! I really miss all the interesting Starbucks flavors… We usually don’t even get the more unique seasonal stuff that comes out in America here in AU 😦 the Frappucino looks a bit heavy for me but I’d love to try the espresso!